Kyzrati has finally managed to go through all the process to publish his sci-fi roguelike “Cogmind” to Steam. While he has decided to release it as “Early Access”, as an indication of his open commitment to continue adding features to the game for several more months, Cogmind is already one of the most complete, stable and cool looking classic roguelikes out there. With its amazing visuals and complex interactions, Cogmind is a game every roguelike fan should check out. Go ahead and grab it for a discounted price and witness its final steps towards an almost perfect sci-fi roguelike! Dungeons of Dredmor has been added to the Humble Indie bundle for anyone that gives above the average value of (currently) $4.10, with the option to choose for your money to go entirely to charity if you want. Keep your eyes peeled on ASCII Dreams for Andrew Doull’s regular feature: Roguelike of the Year 2011. This has been a bumper year for roguelikes, and Andrew’s poll will give a chance to recognise all your favourite releases. Also a nice time to have a look back over the previous years’ polls. Know of any other news? Got anything you’d like featured next month? Post in the comments or on the forum. Firstly, my apologies for the lack of updates these last few months. Job-hunting, house-hunting and the new podcast have all leeched my time away. This update covers activities for the whole of the last three months. A new weekly podcast has started focusing on our favourite game genre. Roguelike Radio has had 10 episodes to date, as well 4 bonus interviews with developers. Each week the topic alternates between a focus on an individual game (such as DoomRL or Dungeons of Dredmor) or a discussion on a general topic to do with roguelike game features. Ido Yehieli has released his commercial roguelike Cardinal Quest, available on BMTMicro and Gameolith, with a free demo playable on Kongregate. Its retro graphics and music have proved so popular that a free giveaway caused BMTMicro’s servers to crash after 100k copies were downloaded in under an hour! ARRP 2011 proved a huge hit with 27 releases, including 9 completely new titles. You can find a full list at Björn Ritzl’s blog. Donnie Russell has been hard at work converting several classic roguelikes for play in flash in your browser, making them much more accessible on modern systems. Available are Rogue, Hack, MAG and Larn, some with tiles options. There are also versions of Rogue and Hack for the GameBoy and Nintendo DS. LumberjackRL – Explore the wilderness, chop down trees, eat flapjacks! The famed dwarven fortress simulator, Dwarf Fortress, has become the subject of an in-depth article published in the New York Times. NY Times journallist Jonah Weiner has spent several days with Tarn and Zach Adams, analysing their lifestyles and quizzing them on their motivations to create the successful crowd-funded game. The article makes for a fascinating read, casting a light on some of the odd habits of the developers, but also digging into the joys of playing the game and what makes it so appealing to the fanbase. Dwarf Fortress is also now on display at the New York Museum of Modern Art’s “Talk to Me” exhibit, which runs to 7th November. The graphical roguelike Dungeons of Dredmor has gone on sale at Steam for $5, and has quickly amassed tens of thousands of sales, rocketing it briefly to the very top of the Steam sales charts. Reception of the game has been immensely positive, receiving a metacritic score of 81, with many reviewers praising its quirky humour, challenging gameplay, and accessible interface. The central gameplay features of permadeath and procedural content seem to be joyfully embraced by many. Could this be part of a roguelike renaissance…? Almost 300 players are now competing in the Nethack Summer Tournament, which runs from 17th July to 14th August. There’s still time to join in and horribly die on poisoned spike traps! Veteran developer Slash is hoping to release a new version of Expedition soon, and has put out a call for playtesters. If you’re interested in helping out with a detailed roguelike centred around exploration and adventure then get in touch. Got a Nokia N900 and want to play roguelikes whilst on the move? Well there’s now a wiki to help, with a list of 34 compatible titles and some tips on how to get them running. Just seven weeks remain until the second Annual Roguelike Release Party, where developers are encouraged to stop fiddling about in the shadows and get some games out! New games or updates of existing titles are all welcome. The deadline for release is Sunday 18th September. Keep your eyes peeled on tametick.com, as the graphical roguelike Cardinal Quest is due to come roaring out soon. The game was developed for the 4DRL challenge last October, and has since gained large reknown for amassing $4.8k from crowd-funding site 8bitfunding.com – the site’s first big success. Hopefully with its charming retro graphics and bleepy music Cardinal Quest can continue Dredmor’s success in spreading the fun of roguelike gameplay to the masses. This is a new monthly article I’m starting, highlighting some of the goings on in the roguelike community and listing all of the releases from the last month, generally compiled from Planet Roguelike, Rogue Basin, the r.g.r. * newsgroups and the Temple of the Roguelike forums. If you have any suggestions of changes/improvements to the ongoing content, format or style then please post in the relevant thread on RogueTemple or in the comments below. The 2011 Annual Roguelike Release Party will take place on the weekend of the 18th of September. All roguelike developers are encouraged to release updates to their games on this date, and to bring their hidden projects out of the shadows and into the hands of gamers. To enter simply release your game on the 18th of September – feel free to also declare your intentions in advance by listing your name on the RogueBasin wiki. Gaslamp Games have announced a distribution deal with Steam to release their game for $4.99, available June 13th. Dungeons of Dredmor will feature many roguelike mechanics (especially in its “Going Rogue” mode) with well-drawn graphics, original humour, unique ability and crafting systems, and very large eyebrows. The developers have also put up a number of teaser shots. The roguelike/interactive fiction hybrid Legerdemain will be featuring at the Origins Games Fair from 22nd-26th June in booth #130. Merchandise and info on a new project will be available at Roguelikefiction’s stall, as well as an opportunity to say hi to the creators. Know of any other news? Got anything you’d like featured next month? Post in the comments! Here goes a long list of roguelikes worth watching, enjoy! The new version has several minor modifications, a lot of polish, and a couple major features, including teasers for features yet to come! This release adds some more content, fixes a bunch of bugs, and introduces a fun toy. The only book that matters these days. The Book that will set mankind free. The Book of Stars. NPCs now belong to a faction, so killing a merchant on board his ship will decrease your standing with that faction, just like destroying his ship will. This has been the largest iteration to date, and also the most feature-packed one, with a good number of engine, interface, and content updates. I’m not sure when the nethack.alt.org version will be changed over, but I suspect “soon, once we verify there are no explosive bugs in this one”. Most prominent are the progression/kill tracker that lists slain monsters and J2SE dekstop computer support. Also Bless has been made somewhat less powerful in the hope the late game will now be more challenging! If player has disposable launcher, Raisu should give launcher (instead of missiles). Trolls now throw chainsaw wielding loonies at you from afar! Squirm is being developed in concordance with the SAD (Slow Application Development) methodology, by The Aging Minotaur. Web Raid turns Web Pages into dungeon levels. We call it NetzHack (note the ‘z’): the German translation of the classic computer game NetHack. Rayel is a single player roguelike game with static world. This version is mostly a bug fix version, but it contains a lot of new features too! I’ve finished my second RogueLike ever, and I’m very proud of it. I had fun, I learned stuff, and I now have a game under my belt that I can be proud of. CharLib is a lightweight library I’ve created for displaying ASCII tiles nicely in a windowed environment, using SDL. 2010 starts strong with 40 announced releases! We, the Angband development team, are proud to present the latest iteration of the game, in the form of Angband 3.1.2. Like other releases in the 3.1.x series, this is a beta, though it should be less buggy than other 3.1.x releases have been. Doubtless there will be another release in a few weeks time fixing the bugs found herein, but in the meantime, play. A spoilered player shouldn’t have an advantage over an unspoiled one only because he knows of some code-specific behavior that can’t be discovered in-game. After some versions comes this one, which will make you end the year with an ear to ear smile. If you’ve ever wondered how many times you’ve been killed by arrow traps or how many damsels you’ve saved, now you can find out – just open up “stats.txt” after exiting the game. According to beta-testing period the new version is working smoothly. Cavern is a small dungeon crawler in the vein of genre classics like Rogue and Nethack – but not based on any existing roguelike. Completely built from scratch for the iPhone, Cavern features advanced dungeon generator mixing random and predefined content. Added the Lucky Lady casino ship at Nav 2 in the Adavene system. Redesigned. Improved. Given a good de-lousing. RSII 2.6.0. New pieces have been added on, other pieces have increased functionality. Stronger, bigger, and more powerful than ever, RSII has been given new life with the release of 2.6.0!!! Wes, our lead programmer, is really on fire, bouncing back and forth between implementation and bug/crash fixes. Our small community of closed-beta testers are super helpful, giving us great ideas, detailed bug descriptions, and even coming up with great ways to help us market the game! In an unexplored sector of space humanity is trying to establish a permanent presence. Megacorporations employ freelance prospectors to find exploitable resources and map unknown planets for them. The player commands one of those scoutships, trying to become filthy rich as a prospector. So, it has been some time since the last update. I had a very busy period, so it is mainly a bug fixing patch, but I also fixed a typo ;). The most important fix here is stability, there should be no more crash bugs. I’ve been flooding levels with monsters and items in wizard mode and hellband is now responding properly to abuse. This is a bug-fix and refinement-only release, fixing all known issues with version 0.5.1. I’ve been working on ZAPM again after 5 years, and am getting close to a feature freeze for the next version. I’m releasing a beta for you brave bleeding edge types. You are a great X (choose profession) who has been chosen to a mighty quest by the town’s eldest. You have to release these moorlands from the grip of the evil demigod who enslaves the people of these lands. There is an underground passage which leads to the labyrinth of death where lives the most horrifying creatures of the world. Good luck. You probably need it. Multiplayer variant of Nethack. Fully turn based Roguelike game. Currently in an Alpha state. New version of Gumband, a variant by R Dan Henry. Quality squelch of jewelry. Also, squelch (non-splendid) ego staffs if blunt is set to squelch all but splendid. LATC is a story based on characters and situations created by Patrick O’Brian in his Aubrey-Maturin novels. Preserved Killick, Captain Aubrey’s steward, is late with the coffee, mostly because he cannot find the beans, the grinder, nor yet even the pot. The morning is wearing on, and the captain is growing impatient. XONG is pronounced “zong” and programmed entirely in Common Lisp. The driving force behind the Dance of Death title and concept was a popular and often resurrected discussion on r.g.r.d. : how to make the warrior class something more interesting than a close-range mage. There’s a lot of new things, mainly the second main quest boss, who is a LOT more difficult than Quazar. There’s also the revamped Rogue and Elemental Lord classes, a new “very fast messages” option in the Portralis preferences, some bug fixes, a revamped death and score system, and I’m sure I’m forgetting many things since my work on Portralis has been irregular. Welcome to WebMoria, a port of the classic roguelike game Moria. This port is based off of the codebase from umoria 5.5.2, with features added from the PC version of umoria by Ed Lee. The beta version includes full graphical support for David Gervais tiles (the 32×32 tileset… so if you have a big screen, feel free to enlarge your main client window as much as possible! ), and support for everything but the new monsters in the other tilesets (old + Adam Bolt). Each level is a puzzle, where the objective is to get from the start to the end in a set number of moves. You may find some objects which will help, but there are also dangerous traps and monsters which can slow you down or kill you. Sanctuary is a small roguelike game set in an original post-apocalyptic fantasy universe. Classic Roguelike action, right in your living room! Retro ASCII graphics, an infinite number of random dungeons to loot, and Global Scoreboards to prove you’re the best. For those that are keeping score at home, the new feature is the idea of “camp supplies”. Think “tent” from Final Fantasy if you’ve played that game. When you use it, you burn n number of turns resting, restoring a nth amount of your hp/mp every turn. Yes, a brand-new release of The Atomic Knight, the new trendy underground ASCII arcade adventure game I created! 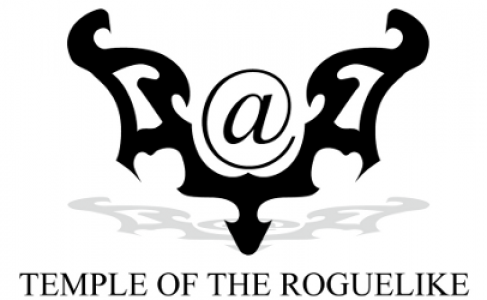 I’ve set up a public server for the original Rogue. It’s still in the testing phase, but Rogue 3.6 and 5.2 are playable. To play, ssh to rlgallery.org. The username is rodney and the password is yendor. This new version fixes the extremely drab colors and gets it looking closer to the original Mac OS X version. IfRL is an Interactive Fiction Seven Day Roguelike programmed in Inform 7. The presentation of IfRL is that of a classic piece of Interactive Fiction. Its gameplay, however, will be more familiar to fans of roguelikes. IfRL is a turn-based dungeon crawl with a randomly generated environment, complex item interactions and permanent character death. MC:B has many flaws, not all of them being caused by the small development time. Still it’s a genuine effort and I hope someone will enjoy playing this small and hopefully challenging game. Over Christmas I had a go at writing a 1kbrl in C. ZigClimb is a quick, 10 level, mostly-traditional roguelike. It’s structurally pretty similar to Jakub Wasilewski’s excellent “A Journey To Hell” – which must have a pretty close to optimal structure for a 1kbrl in C.
Din’s Curse pre-order is now available! Din’s Curse is a single player and co-op multiplayer action RPG with 141 class combinations, infinite number of dynamically generated towns, real consequences, and a dynamic, evolving world. It was just another ordinary day for Lima. Though unexpectedly, the routine chore of picking apples, will send Lima into a dangerous journey. This is a small module intended for use within procedural games (eg. RPGs, Roguelikes) to generate names or other words. This library is a thin c# wrapper around BSD licensed libtcod (http://doryen.eptalys.net/). It provides a cross platform graphics and roguelike library to those who wish to program in c#.